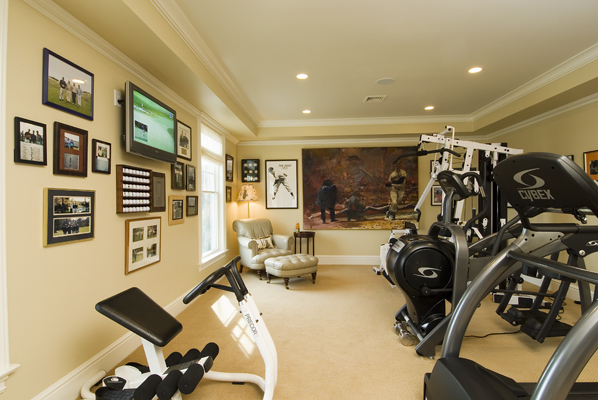 In this large exercise room, it was necessary to display all the varied sports memorabilia properly so as to reflect our client's rich past in golfing and in baseball. Using our broad experience in vertical surface art & artifacts installations, therefore, we designed the positioning based on importance, theme, size and aesthetic appeal. Even the small lumbar pillow and lampshade were custom-made with a fabric from Brunschwig & Fils depicting a golf theme. 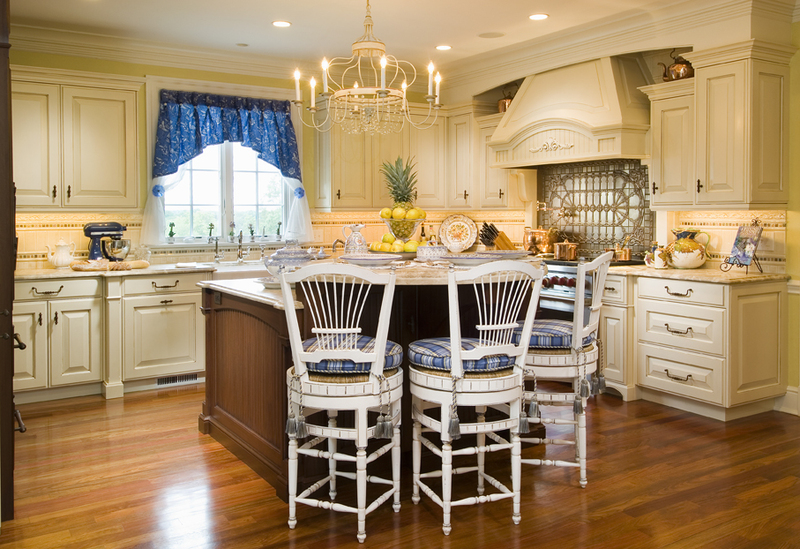 The moving of our clients' entire exercise room equipment from their previous home, is part of our full moving services, from the most delicate items to pianos to the entire content of homes.